From Kristiansand in the south to Trondheim in the north of Norway there is a 21-hour ride along the west coast. That is because the highway is interrupted by no less than seven crossings with the ferry. Solution? 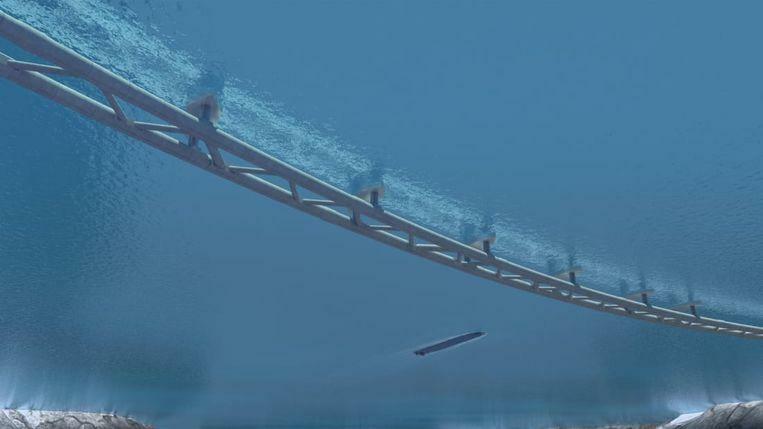 ‘Floating’ tunnels that would halve the travel time. The Norwegians would like to bring in the scoop. Norway is a country with breath-taking nature. You drive constantly by car through impressive landscapes with mountains and fjords. But that specific terrain often leads to long travel times, such as from Kristiansand to Trondheim via the E39 along the west coast. It is of great importance for Norway. 5.3 million Norwegians – one third of the entire population – live among the more than 1,000 fjords. The main axis for them, runs from Kristiansand in the south to Trondheim in the north. A distance of about 1,100 kilometres, where you travel for 21 hours. That is mainly due to the seven ferries that you are forced to go to. The Norwegian agency for roads and traffic (the NPRA) now wants to make the ferries superfluous. With a project of 40 billion dollars. 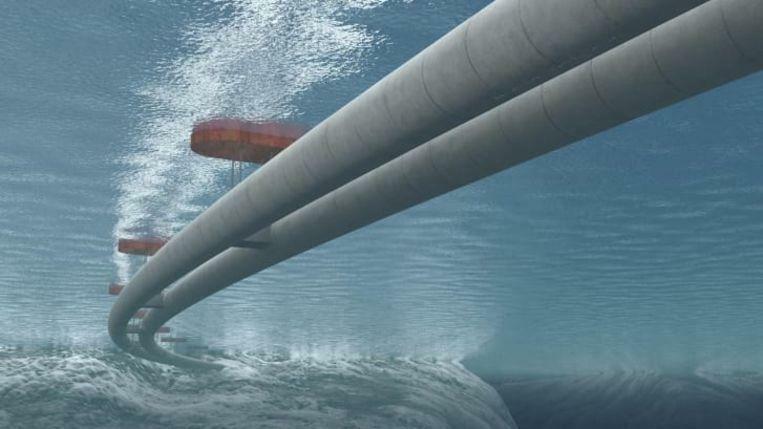 ©NPRA – The tunnel is suspended from floating platforms, spaced far enough apart so that they do not hinder shipping. This money is intended for a number of bridges and for the deepest and longest tunnel carved out of rocks in the world. 27 kilometres long and drilled by rocks under the seabed at 392 meters depth. A daring piece, but it is not the most ambitious part of the billions plan. That honour goes to the “floating” tunnel about 30 meters below sea level. If that succeeds, Norway might be too quick to get rid of rivals like China, South Korea and Italy. Those countries are working on similar projects. The Norwegian planning provides for the delivery of the works for 2050. Why exactly such a ‘floating tunnel’? Project manager Kjersti Kvalheim Dunham explains to CNN that the E39 is a main road for Norway, consisting of motorways, other lanes and ferry lines. The E39 runs north via the southwest coast, where more than half of the Norwegian export goods come from. But especially the ferries do the time loss. The authorities therefore count on a double strike: an improvement for trade and for local residents. The intention is to build three suspension bridges and five pontoon bridges. However, such constructions are not possible for fjords deeper than 1 kilometre or wider than 5 kilometres. In that case, the foundations of suspended bridges cannot be laid and the seabed is also too deep to drill an underground tunnel. Pontoon bridges cannot simply be placed anywhere because they are sensitive to strong waves and currents. And so, engineers arrive at the ‘floating tunnel’. No new idea, by the way. Already in 1882, the British shipbuilder Edward Reed had plans for such a floating tunnel in the Channel, but he got a jet. 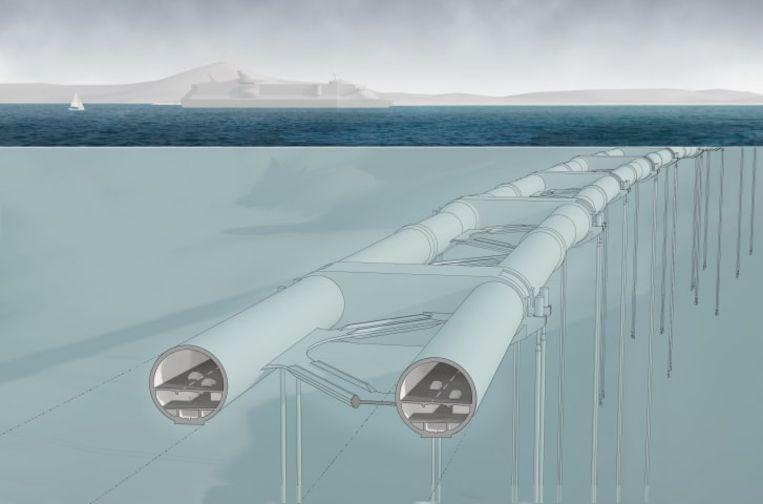 The word ‘floating’ is somewhat misleading, because such tunnels have to be kept in place with cables, anchored in the seabed or attached to pontoons. The tunnels are made of concrete and function for the rest like their peers: cars can drive from one side of the fjord to the other. 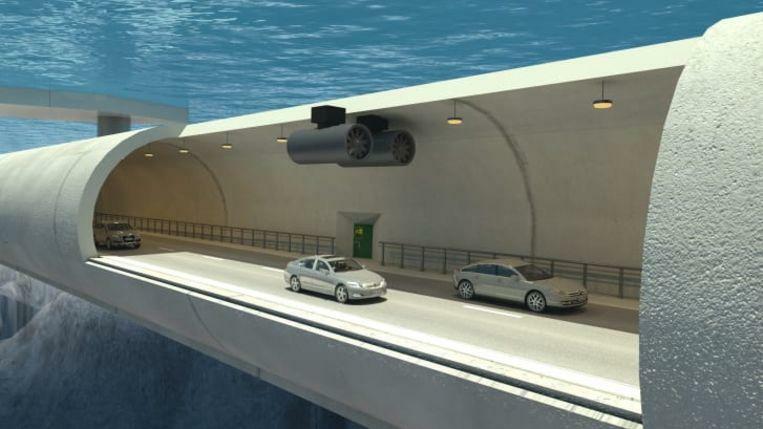 Advantages of such an underwater tunnel are that it is largely hidden from view and involves less noise than a bridge. But there are also risks involved. What if an explosion in such a tunnel occurs? Or a fire? What if a submarine collides? Tests already show that the damage caused by explosions in an underwater tunnel would be noticeable due to the constant water pressure around it. 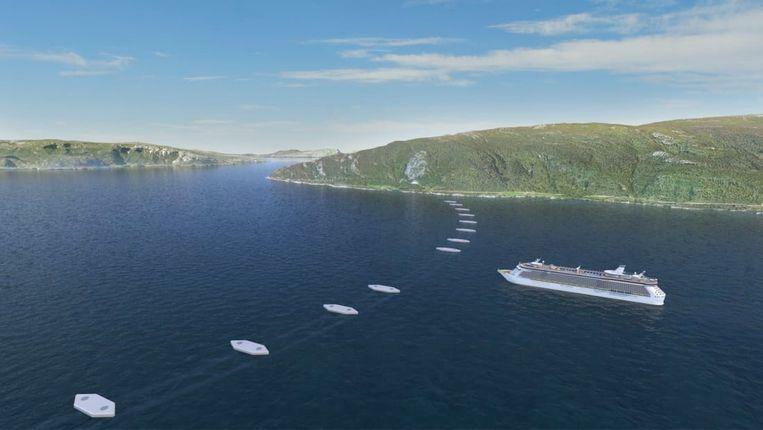 Norway would like to be the first with the delivery of floating tunnels. That would only benefit the attraction for tourists. It may have happened in over thirty years.